Any questions about the contest.. Feel free to post them . I have a New Republic that I'd like to post, but there is no board to post to. it's not November 11th yet, is it? In order that all the entries look similar, could someone post a generic template that works well on these boards. that way, we can focus on the stats, rather than the presentation. I thought about posting a generic format too, but it might be too hard geting very one on the same page..
No, it is not November 11th yet. But that day will come . Any questions about the contest? What will the stats be judged on? - accurately representing the character? Just have one of the moderators for your forums go in and format a person's entry after they've put it up there. As long as they don't change any of the info, it should be fine. I'm also curious on how it will be judged. I've got a couple of interesting stats I'd be interested in submitting. As of right now, we plan on having a poll for each faction -where everybody can vote for the miniature they would like to see win. So you can decide which custom stats are the best (in your opinion). The poll will start November 26th and end December 3rd. If you have any other suggestions for judging, we are still open to them. Thanks. It is almost November 11th. You may start posting you customs stats when it is 12:00 in your time zone. Thanks, and please enter in the contest. Start posting you must . Have posted a few stats, and have already been told by the moderators to change the name of my entry because it is already used in The Lost Twenty and some other custom stat thing I have no idea about (it is "being developed"). Not to be rude, but I'm not entirely happy about now being told to keep any customs in line with existing (or under development) customs. Far as I'm concerned, anything I come up works only with actual, existing minis, not customs. I don't consider The Lost Twenty when coming up with stuff. Anyway, I changed my "Poggle the Lesser" to "Poggle the Lesser of Geonosis". Minor, I know, but I just find it annoying that I was made to change the name on my entry based on someone else's custom under development. You can have your Poggle the Lesser, I can have mine, and never the twain shall meet. I hope this doesn't happen again. Sorry, I just noticed the problem. I am the head moderator, and I figured I had it set up so they couldn't post comments on threads in the contest. Those faction moderators were misinformed. 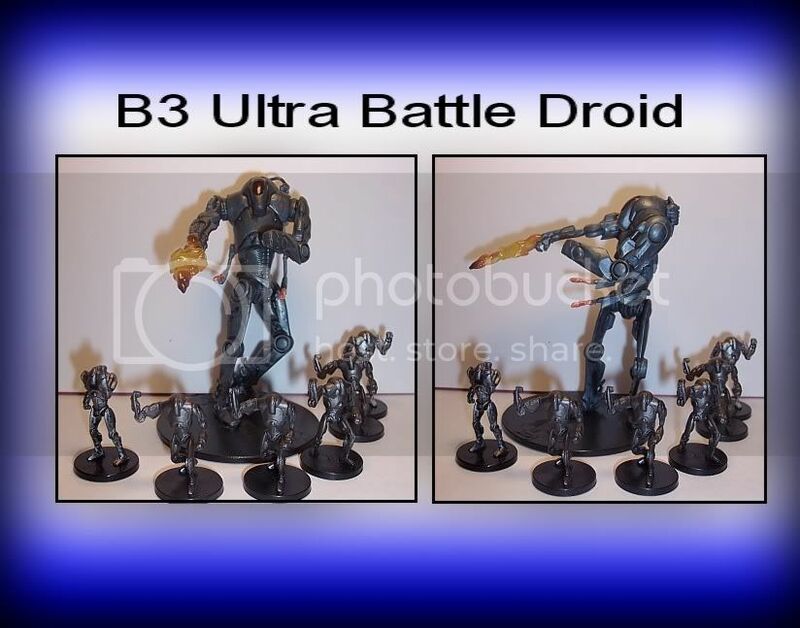 The main rule for the contest is that you can't have a figure with the same name as one wizards has made (for example, you can't make up a clone trooper unless you call it something else). I posted a thread about it and I changed this name back to "Poggle the Lesser." Thanks for bring this to my attention and sorry for the confusion. We can't expect new members to be informed by miniatures in develpment or TLT and other custom projects. Thanks for posting on the site, hopefully this will not happen again.